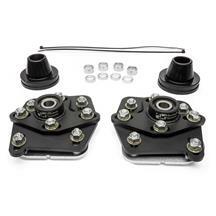 Installing a set of 1994-04 Mustang caster camber plates can help get your Mustang aligned correctly. After adding a set of lowering springs to your Mustang, you are going to want to get it aligned before it starts wearing down your tires. 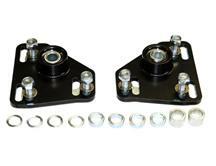 To be able to align it properly, you will need a set of caster camber plates. 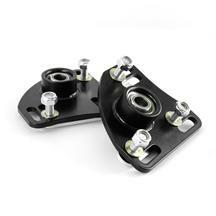 These plates install on the shock towers and allow for caster and camber adjustments to be made for a proper alignment job. 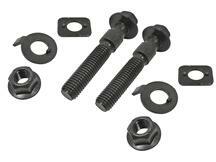 Get a set today from SVE, BBK, J&M, and Maximum Motorsports. 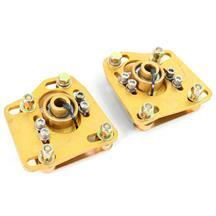 These Mustang caster camber plates fit: 1994, 1995, 1996, 1997, 1998, 1999, 2000, 2001, 2002, 2003, and 2004 Mustang. 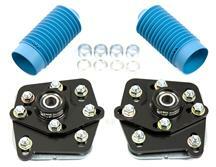 Installing a set of lowering springs on your 1994-04 Mustang? 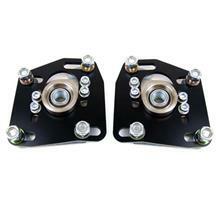 Pick up a set of caster camber plates to get your alignment adjusted right. 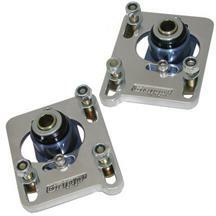 These plates allow for the proper caster and camber adjustments needed to be made when getting your lowered Mustang aligned. 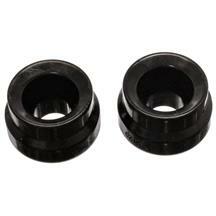 Pick up a set today at Latemodelrestoration.com.